Bloomington, Ind. – Cook Medical has launched a new treatment option for otolaryngologists (ear, nose and throat specialists) who repair the dura mater following cerebrospinal fluid (CSF) leaks at the base of the skull. Cook’s Biodesign® Duraplasty Graft is the latest Biodesign product from Cook Medical’s Otolaryngology—Head and Neck Surgery (OHNS) clinical division. 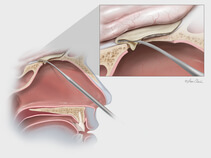 Dura substitute, the Biodesign Duraplasty Graft is used to repair the dura mater and prevent CSF leaks following surgical procedures at the skull base (e.g. tumor resection). In other cases, the graft may be used to treat existing CSF leaks such as those resulting from trauma or sinus surgery at the skull base. During the repair procedure, the Biodesign graft is easy to manipulate, because of its advanced handling characteristics. The graft doesn’t swell when hydrated and doesn’t fold onto itself. 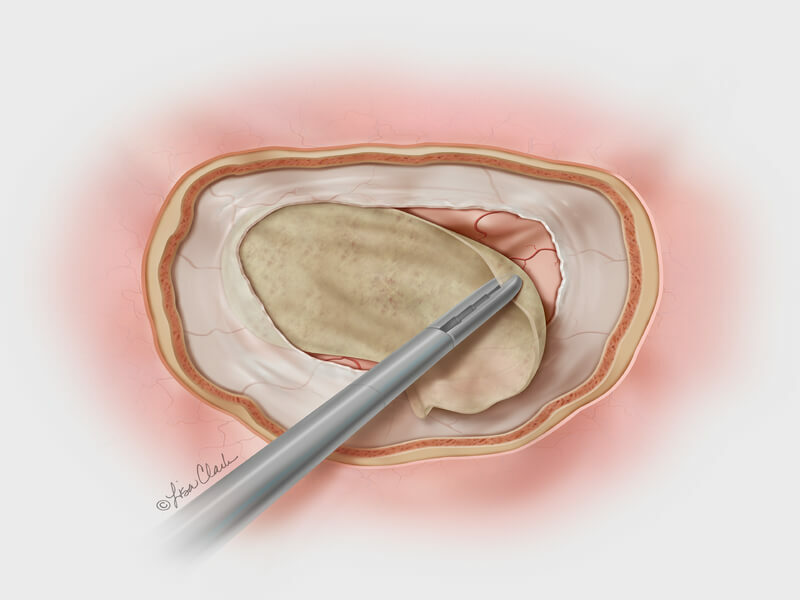 The graft can be placed with or without sutures and can achieve a strong seal, so it provides a well-balanced treatment option for dura mater repair at the skull base. Another benefit of Biodesign is that it reduces the need to harvest tissue from other parts of the body for use in the repair. Note: Dr. Bradford Woodworth is a paid consultant to Cook Medical with respect to its medical devices. 1Benjjani GK, Zabramski J; Durasis Study Group. Safety and efficacy of the porcine small intestinal submucosa dural substitute: results of a prospective multicenter study and literature review. J Neurosurg. 2007;106(6):1028-1033. Since 1963 Cook Medical has worked closely with physicians to develop technologies that eliminate the need for open surgery. Today we are combining medical devices, biologic materials and cellular therapies to help the world’s healthcare systems deliver better outcomes more efficiently. We have always remained family-owned so that we have the freedom to focus on what we care about: patients, our employees and our communities. Find out more at www.cookmedical.com, and for the latest news, follow us on Twitter, Facebook and LinkedIn. Follow Cook OHNS: @CookOHNS.